When it comes to improving your home, it is vitally important to know that you are buying a great quality product from a company you can trust. You also want to know that should your product have a fault or need repairing at any point, that the guarantee covers this and the company can honour this. This isn’t always the case when dealing with a small, local double glazing firm and it is not uncommon to find the company that originally installed the product has since ceased trading. This could leave you in a horrible predicament with a faulty product. I have done some research to find out how you can avoid such scenarios and how you can pick a trustworthy, reliable company. The Fenestration Self-Assessment Scheme, set up by the Glass and Glazing Federation, was set up to help protect you from any ‘cowboy companies’ out there, putting companies through their paces to pass FENSA assessments and reporting any rogue traders claiming to be FENSA registered. I discovered there are over 14,000 companies (thanks to Insight Data) in the UK currently selling double glazing, but under 9,000 of these are registered with FENSA. This means there are 5,000 companies out there that aren’t registered with FENSA, potentially missing out on benefits such as ensuring any deposits taken are protected; that every FENSA registered company gives an Insurance-Backed Guarantee, which covers the cost of any problems that could occur with the product and covers you even if the company stops trading. With there being a lot of financial uncertainty in the UK and the recession hitting the country hard, we have seen a dramatic increase in the number of double glazing firms going into liquidisation; between 2008 – 2009 there were nearly 3,000 companies ceasing to trade, that’s roughly 20 per cent of the market! Although this was an extreme brought about by the recession, there are still about 1,200 companies disappearing each year since this all-time high. There may be industry bodies in place to help you should a company you have traded with goes under, but it can be a stressful process sorting an issue with a liquidised company. So, a FENSA registered company is going to help give you peace of mind that you are getting a quality installation and covered should anything go wrong or the company disappears, but how do you know the product is of a good standard? Although it is not mandatory for a company to have Kitemarks for their products, they are a means for a company to show off the quality of their product with the approval from expert industry bodies such as BBA, BSI and ISO. The aim for all of these industry bodies is to help assure the quality of the industry, helping to maintain an excellent standard of product and service. When you are spending a lot of money you want to know you are buying a product with longevity, that will add value to your home and will be a purchase you do not look back on with regret. This is where Kitemarks help you make an informative choice when picking a product and NVQs ensure you have a top quality installation. Anglian Home Improvements are proud to be able to say they have been trading since 1966 and worked hard to become a market leader, working closely with the GGF and FENSA to ensure the highest quality of products are installed to a good standard. 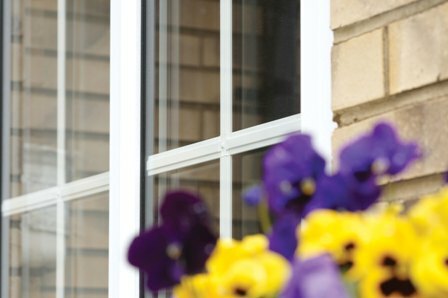 As a manufacturer of double glazed windows and doors, we have strived to be accredited with numerous different Kitemarks for our products to help give you peace of mind you are buying a market leading product. Energy labels are another way to find out the quality of a product, which is exactly the case with our double glazing. 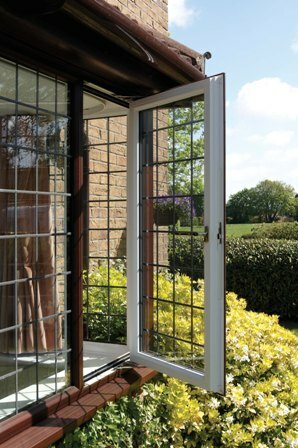 Our EcoGain windows have an A rating, helping retain heat in your home and they can actually help heat your home by absorbing more of the sun’s light. This link gives you a clear break down of energy labels to help you understand how important they are, especially when it comes to choosing the right windows for your home. When it comes to making a large home improvements that will affect your way of living for years to come, it is definitely worth doing your research, checking the company is registered with a reputable industry body and that they have accredited products and installers.